Adding Subscription Link Gadget / Widget to your template is a simple way for readers of your blog to subscribe to your blog's feed. But there is one thing I found annoying with that widget is that you can not customize even simple things like changing feed title. as it will always be the same as a title of your blog. Most of the time, this is fine, but there are occasions where you want to change it to something else. You may want to give more detailed title for your subscribers. Another reason would be if your blog contains different topics (using Labels) as with this blog. You could then put multiple Subscription Links, one for each topic but having multiple Subscription Links all with the same title would be silly, so you need a way to set different title for each Subscription Link. You might be wondering why not just use single feed. Simple fact is that visitors might only be interested in some of your topics but not on others, and by going with multiple feed links, you are giving your subscribers a choice to follow only those topics they really care for. So how can you change your Blogger Feed Title? 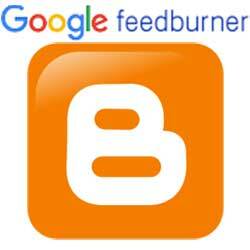 What you need is to use Google Service FeedBurner, which is a web feed management provider. Besides changing your feed title it also provides ability for traffic analysis,optional advertising system and much more. Now you can set title and feed address. This title is only a title for your FeedBurner's Management page that identifies this feed and not your Blog's Feed Title!! To do that, we will need to make few more steps. Feed address is the one the visitors will subscribe to by clicking on feed links in your blog. Those links will be created in steps 7-11. Click next few more times, where you can set few more options like clickthroughs and FeedBurner Stats and then you are done. You have created FeedBurner's Feed. In Management page, click on Optimize Tab, and under Services, click on Title / Description Burner. This is where you can put custom feed title and also a short description and after you are done, click Activate. On management page, it may take a while before it updates, so to check the modifications immediately, go to your browser and put your feed address there. Choose one of the Add a Gadget and click on it. I suggest not to use those at the bottom as users might not find the links. In href attribute you put address of your feedburner feed and between atom+xml"> and </a> put a name of your link . You can also put that name in title attribute.